Home / entertainment news / Upcoming Tv Shows / MTV 'Kaisi Yeh Yaariyan' Season 2 to go off air this month! 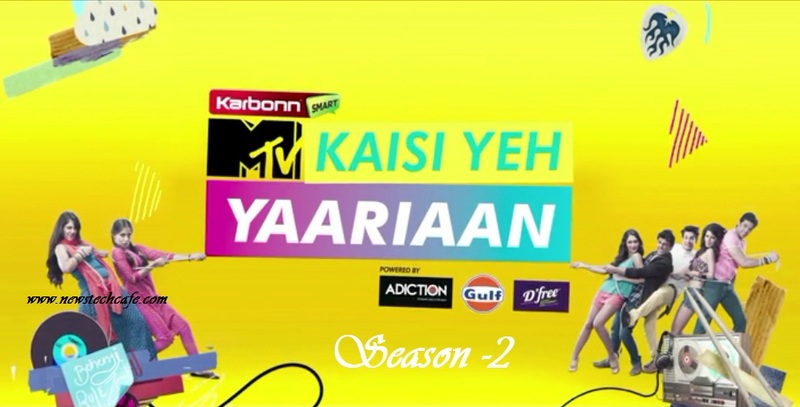 MTV 'Kaisi Yeh Yaariyan' Season 2 to go off air this month! The second season of the popular youth show 'Kaisi Yeh Yaariyan' is set to wrap up owing to its poor ratings. According to sources, the last episode will be telecast during the last week of December. The cast of the show, mainly the lead couple Parth Samthaan and Niti Taylor became the talk of the town ever since the launch of the show. Actor Karan Jotwani, who plays Aryaman, says, "Yes, the show is ending this month and today was the last day at the shoot. It was the channel's decision to pull the plug on it. It's going to be a happy ending." The show has been quite in the news and has literally experienced a rollercoaster ride with its male lead Parth quitting the show in between. The makers had to call him back at his fans' behest. Rumours have it that the decision has come in the wake of the fact that Parth wants to focus on his Bollywood debut. Karan refutes, "Not at all. That's not the reason."